Hi, my name is Adam Noble. I am a Belleville, Kansas native and very proud of it. I grew up in a small town of around 1500 people and out in a rural environment with good values and traditions. I have always enjoyed helping other no matter in what field or area in life. I am a recipient of scouting's highest honor, Eagle Scout (with Bronze Palms, the first in my troop of over 75 years). I was our college student union president for two years (at NCKTC) and the SkillsUSA college president as well as the state secretary. I like to try and bring the small town demeanor to the big city and see if it rubs off on people. I have been doing computer work for over 9 years now, 8 of those professionally in shops. I am our webmaster and head web developer, as well as our graphic designer and video editor. If you have any questions feel free to ask me! You can contact me at adamthepccave.com. Kyle Clarke has been working on computers for over 13 years. He attended NCK Tech, earning a degree in Electronic Technology and Information Technology. Kyle and Adam (PC Cave's President) started working together in 2007, at which time they sold wireless routers and flash drives to other students in college. As the saying goes: "and so it began...". Realizing their desire to expand and own their own business, Kyle and Adam achieved that dream when they opened PC Cave LLC. 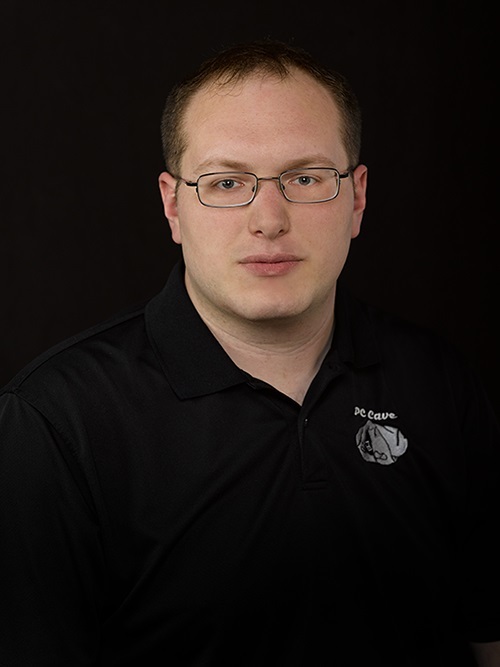 Kyle's areas of expertise are: Hardware, Networking, Windows, Active Directory Domains, and Group Policy. 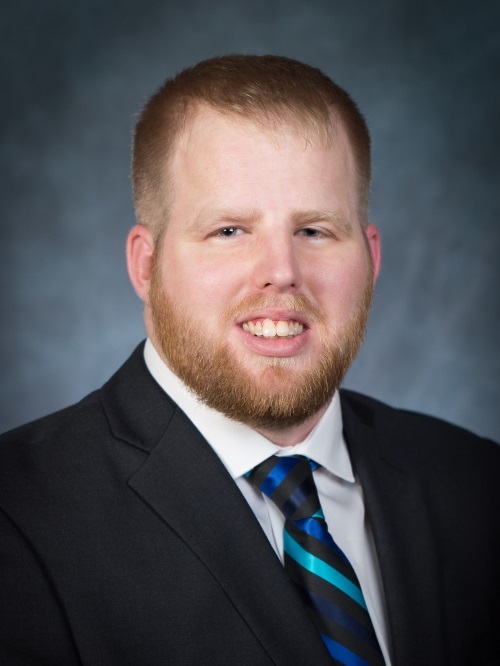 Kyle's experience and background makes him a perfect candidate in assisting with small business and corporate needs. You can contact him at kylethepccave.com.